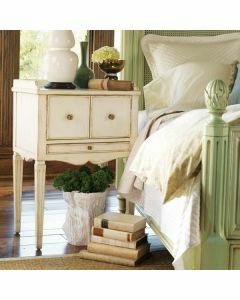 A modern heirloom with ample storage, this contemporary nightstand is a designer favorite. Finished in bright white, its sleek lines, gentle curves and exquisite brass quatrefoil pulls make it a grand focal point in any bedroom. 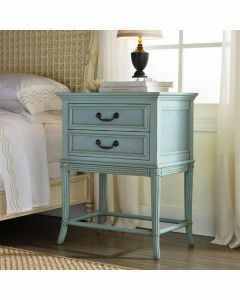 This nightstand measures 32" x 18.8" x 28”. Click on images for greater detail.